Click here for model and product information. 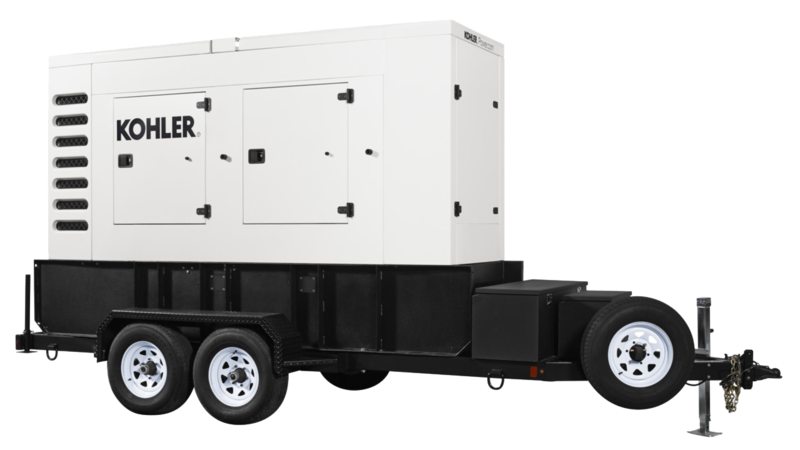 An entire jobsite can be powered from a towable power generator from Polson Electric. We work with Kohler units to ensure only the utmost reliability and performance. These trailors have features like heavy duty camlock kits, a rugged housing and trailor constuction (Dot approved) and can withstand the elements. State of the art controlls are also on board and are Emission Compliant. There are many diffrent models to choose from ranging from 100Kw to 200Kw.